Get ready... a new site is on it's way! Thanks for visiting! We’re remodeling the website right now, but in the meantime check out the links and info below for details on StepUp activities. 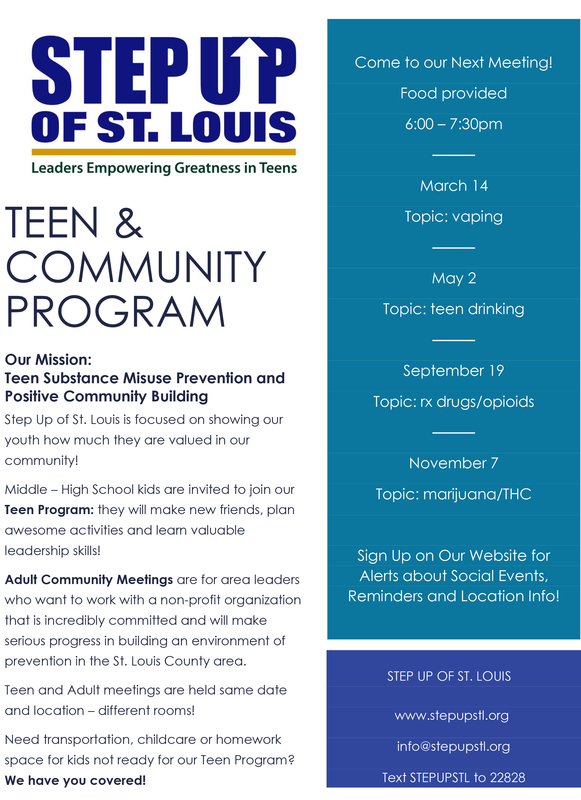 If you have questions, please email us at info@stepupstl.org or connect with us on Facebook! If you are in crisis, please contact Behavioral Health Response. BHR is a professionally staffed, accredited clinical call center that provides expert behavioral health, crisis response, and corporate feedback services 24 hours a day, 7 days a week.